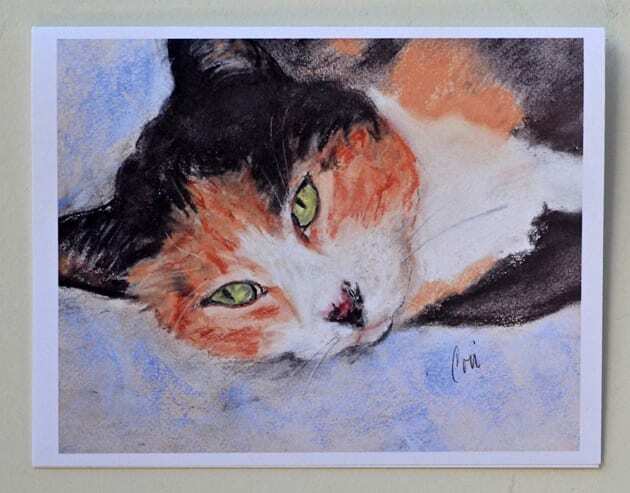 Milly received a Certificate of Excellence from the Cat Writers Association in 2014. The card portrays a Calico Cat. Note cards with these images are available on Etsy.com.. The original artwork is also available. For more information email Cori.